1. Memory! Get 6 matching sets of anything that will fit inside the eggs (stickers, legos, change would be perfect - 2 pennies, 2 nickels, 2 dimes, 2 quarters, 2 half dollars and 2 dollar coins), a great way to also teach coin value. Put one item in each egg, then place the eggs in an egg carton randomly. Let the fun begin! My tot loved matching letters in this Early Spelling Game. 2. Early Spelling! (We did two letter words). With my 2 1/2 year-old, this really became about matching the word he saw on the paper with the letters on the eggs. Here's 14 other learning activities using plastic eggs from Scribble Doodle Draw. 3. Write poems! It's National Poetry Month so I thought how perfect to use plastic eggs to write poems. My boys are too young, but the idea is that you have your child write a 12-word poem (keep some space between the words). Then, cut out each word and put it in an egg. (I say twelve because then you can put the eggs in an egg carton). Place the eggs in the carton randomly and pick them up randomly. Take out the words, piece them together and see what new poem you get! This will generate lots of poems in a fun, fun way! 4. Sand box toy, Pool toy or Bath time toy! I recently saw some kids doing an egg hunt in a pool and realized that plastic eggs make great pool toys or bath time toys (since they float) and could also be fun in the sandbox. He rolled 7 first, so that's why it's missing. 6. Playdough cut-outs! My tot is really into shapes right now and loves to create shapes from playdough. The plastic eggs make perfect circles! 7. Paint! 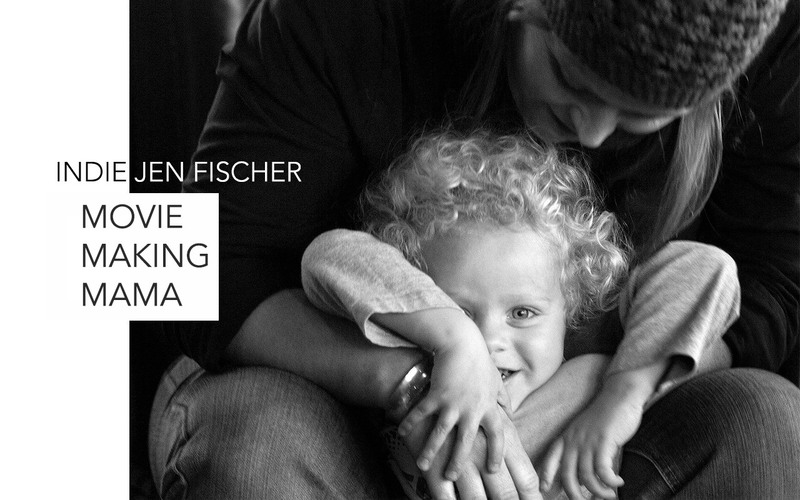 Here's a great example from TeachPreschool. I've also seen people cover the eggs in paint and roll them to create art. 8. More Games! There are so many games you can play with your eggs. We used a milk jug and played "basketball." There is also the traditional spoon relay (typically done with real eggs), but could be fun with plastic eggs as well (fill them with water or paint!). Another fun idea is to have your child complete an obstacle course while carrying an armful of eggs. If they drop or lose an egg, they have to pick it up and start over. 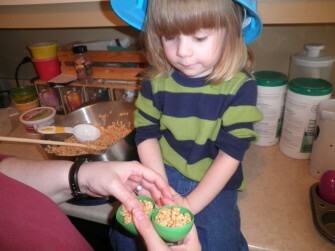 Toddler Approved has a great egg stacking game. 9. Make Music! Put rice, beans or lentils inside, tape shut and shake, shake, shake it up to your favorite song! "Raise a Boy" has a perfect example. 10. Snacks and Cooking! 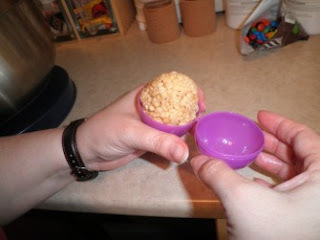 Use the plastic eggs to take snacks on the go in a fun way or as alternate measuring devices when cooking - we discovered that the bottom half of our eggs is just about 1 TBS and the top half of our eggs is about 2 TBS. I also love these amazing and unique rice krispie treats from glittering muffins. 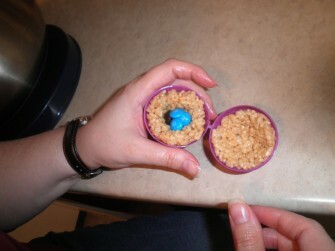 Plus, check out this Water Beads Sensory Bin that uses plastic eggs from Happy Hooligans! Ten for Tuesday: Toddler Games That Require Nothing But You! What a great list! Thanks for adding us. love this! And we do have pesky plastic eggs....all over the house. some great ideas here! i've got so many of these! i always forget i have them... and then i can't pass up the 25 cent bags of them the week after Easter! thanks for linking up to tip-toe thru tuesday! My favorite plastic egg activity list so far. We're doing the numbers and dice one right now. Thanks for sharing!